• Hiking TableRock – Along the foothills stretching up to east and north and leading to the national forest are the foothills and the Boise Mountain Range. This is the ideal place for families, runners, hikers, bird watchers and mountain bikers. TableRock is clearly visible from the valley. • Basque Block – The metropolis’ Basque block contains the biggest Basque concentration in America, outside of Spain. In the late 1800, Basques started settling in Southern West Idaho and began working as shepherds. This block has restaurants, market and is seeped in history. Enjoy the food that this area of the city has to offer while you are sightseeing. • Boise State University – A trip to Boise is incomplete without a visit to the Boise State University. It is located in downtown Boise and is dominated by businesses and residential areas for students. 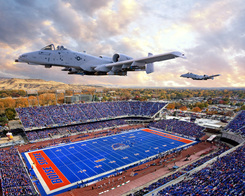 The University boasts of the Boise State Broncos football team and the Boise stadium, which have become a landmark of the place. • World Center for Birds of Prey – This small place also houses the World Center for Birds of Prey, working towards re-establishing the Peregrine Falcon and eliminating its name from the list of endangered species. • Idaho State Capitol Building – Tourists to Boise can view legislation at Idaho State Capitol building. They are offered a tour of the Capitol building between sessions and can learn about state government. • Boise Train Depot – Boise train depot is less train and more of a depot. For visitors wanting to know about railroad history of Boise, this is the place to be. They can go to the light tower and view the beautifully displayed artifacts. The well-preserved depot is a beautiful piece of architecture with a railway station containing a large room with high ceiling. The walls are decorated with photographs of the bygone era, reminding visitors of the history of the train depot. • Boise River Greenbelt – Boise is known for its greenbelt. 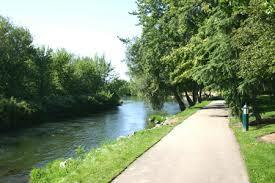 The Boise River Greenbelt stretches 25 miles long and is one of the most popular parks of America. Explore the beautiful pathway lined with trees, which follows the river winding through the place and offering scenic views. The Greenbelt pathway is also an alternative route for commuters. When you reach the Greenbelt, while walking along the pathway, you will be fascinated with the lush green trees and the wildlife of this area. However, you will be surprised to know that this greenbelt was a dumping ground where raw sewage, industrial waste and trash was dumped till the 1960s. Alarmed by the degrading riverbank, the place took measures to update the zoning ordinance and hired a consultant for this work. 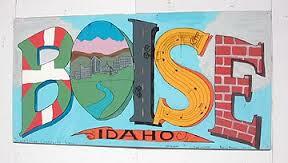 It was only in the 1966-67 that the vision materialized and Boise acquired three pieces of land. Public interest grew and, in 1968, the guidelines were first adopted. Today, with the adoption of the Guidelines and with increased public support, the area has a new face. Boise Parks & Recreation Department, along with numerous public agencies and landowners work to maintain this Greenbelt. People can set out to explore the Greenbelt safely. If they get lost anywhere, there is an emergency system to call for help immediately. 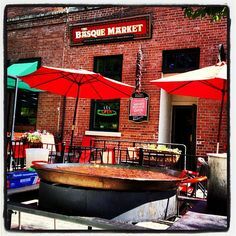 • Boise Nightlife and Food – If you are looking for some fun, then explore the hot nightspots of the place. This place has a vibrant nightlife where you can let your hair down and enjoy the night, dancing to the music and sampling food. The food scene is delicious and diverse with ingredients that are sourced from the local farms. If you travel to downtown Boise, you can sample the best of every kind of cuisine that the place has to offer. Downtown Boise becomes a playground at night with numerous clubs featuring live entertainment. • Idaho Botanical Garden – One destination not to be missed on your visit to Boise is the Idaho Botanical Garden. It includes an adventure garden where children can have fun and several plant species found in Boise and Idaho natives. Another thing that the tourist must know about is the Boise Architecture project associated with the preservation of the wonder architecture found in the city. The place may be small by world standards, but it boasts of a collection of buildings of immense historical importance. Boise is a river town in America, known so for its greenbelt. It has a lot to offer by way of hiking, biking, visiting historical places and enjoying the food. It is an inexpensive travel option for tourists.